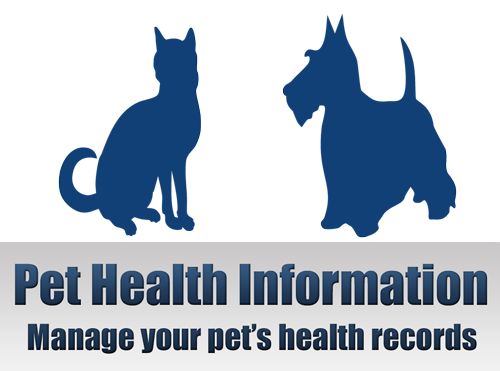 Access your pet's medical records, upcoming appointments and reminders. Request your pet's prescription refill online and we can have it ready for you in a couple hours! NEW!! Now you can manage your pet's health online or with a mobile app! Check your upcoming appointments, refill your pet's prescriptions and see your pet's reminders. This is great for traveling with your pet, or when they go to the groomer or boarding kennel! As we enter into a new age of increasing advances in veterinary medicine our goal is to provide compassionate, comprehensive and high-quality care with all the advantages of a full-service veterinary facility. While striving to exceed our clients' expectations we will be true to our own abilities. We will treat our clients as we would our family members, and treat all pets as though they were our own! We are happy to offer a number of resources that enable you to learn about how to take great care of your pets. Please feel free to browse our site, particularly the informational articles. The best veterinary care for animals is ongoing nutrition and wellness preventative care, so becoming knowledgeable about preventative pet care is essential to the ongoing success of your animal’s health. If you have any questions, call (515) 274-3489 or email us and we'll promptly get back to you. Our West Des Moines veterinarian office is conveniently located for residents of West Des Moines, Des Moines, Windsor Heights and other surrounding cities. We also welcome you to subscribe to our newsletter, which is created especially for our pet owners. At Grand Avenue Veterinary Hospital, we treat your pets like the valued family member they are. "I always appreciate the personal care that my kitty receives, and the time taken to answer all my questions. I know she is in good hands whenever I bring her in. Thanks." "The doctors and staff take such great care of my dog that suffers from really high anxiety when he is around others. I have been to other vets and there is nobody else I would trust with the care of my pets." "Everyone was kind and professional. My cat, Elliott, is very shy, but they were very careful with her and she was able to get her vaccinations without issue." "The staff at Grand Ave Vet is outstanding; they get that we love our pets like family, so Grand Ave Vet is their "Family " Doctor..."
"Absolutely pleased with the care that was provided to me on short notice! They took us in and took care of us like we had been there for years! :)"
"The staff at Grand Ave vet is top notch! Ramsey was a rescue and is still working through being afraid of new people and places. The staff was patient with her and took things at a slower pace to make her less frightened." "I would highly recommend Grand Avenue Vet to anyone looking for great care for their pets. I like that they know my pets by name & it feels like family. When we had to put our lab down because of old age they were so caring & it was so comforting the way they treated us every step of the process."